CPM on Monday alleged that the so-called Gujarat model of development and the claim of being riot-fee were based on the “big lies” mantra of Nazi propaganda. Releasing two booklets – ‘Defeat BJP, Defend Secularism’ and ‘No To The Gujarat Model’ – based on NSSO data and census records, politburo member Brinda Karat and CPM’s Gujarat secretary Arun Mehta said the Gujarat model was based on exploitation. “The so-called Gujarat model is based on cheap labour and its exploitation, very low expenditure on consumption, very high malnutrition, very high school dropout rates and very low expenditure on education and healthcare,” Karat said. She added there was no Modi wave in the country and the BJP’s prime ministerial candidate was just getting desperate. “Their desperation shows in their actions. They are not only annoying and disappointing their own senior leaders but also giving tickets to those who have been charge-sheeted in the Muzaffarnagar riots cases and attracting people like Amit Shah, who is accused in an encounter killing case, and the likes of Pramod Muthalik (whose outfit was accused of molesting women in Mangalore),” she said. On development, Karat said that according to NSSO records, 90% of people in rural areas of Gujarat spent only Rs 75 per day on food and essentials. She said the dropout rate was as high as 58% while employment rate grew at 0.4%, much less than the national average. “Narendra Modi and P Chidambaram are equal in terms of jobless growth. The so-called Gujarat model is only for the corporates and not the people,” she said. Mehta said a myth was being spread that there was 24-hour power supply in Gujarat. “In rural Gujarat, power supply is not for more than six hours. Also, 1.21 lakh applications for power connection are pending for five years,” he said. via CPM draws Nazi parallel, calls Gujarat model ‘big lie’ – The Times of India. India’s Finance Minister P. Chidambaram told parliament on Monday that India’s 2013/14 agricultural exports were likely to touch $45 billion vs $41 billion in 2012/13. Chidambaram was presenting an interim budget to tide public finances over until a new government is formed after elections due by May. via India budget-2013/14 agri exports likely to touch $45 bln vs $41 bln in 2012/13 | Reuters. India forecast a faster acceleration in economic growth than analysts had estimated, a prediction facing risks from interest-rate increases to quell inflation and expenditure curbs by the government. Gross domestic product will rise 4.9 percent in the 12 months through March 31, compared with the decade-low 4.5 percent in the previous fiscal year, the Statistics Ministry said in New Delhi yesterday. The median of 24 estimates in a Bloomberg News survey had been 4.7 percent. The projection may be revised upward later and the final growth rate is unlikely to be less than 5 percent, Finance Minister Palaniappan Chidambaram said in a statement e-mailed today. India last month joined nations from Brazil to Turkey in raising interest rates, striving to stem the fastest inflation in Asia and shield the rupee from a reduction in U.S. monetary stimulus that’s hurt emerging-market assets. Opinion polls signaling that the general election due by May could lead to an unstable coalition government are adding to risks. via India Predicts Climb From Decade-Low GDP Growth Amid Risks (1) – Businessweek. India can review gold import curbs by the end of March if Asia’s third-largest economy controls the current-account deficit, said Finance Minister Palaniappan Chidambaram. “We can revisit curbs on gold imports by end of the year but let me hasten to add that it will happen only after we get a firm grip on the current-account deficit,” Chidambaram said in New Delhi today. Shipments rose in December from a month earlier, Revenue Secretary Sumit Bose said at the same event, and confirmed that the minister was referring to the financial year ending March 31. The rupee has rebounded about 9 percent from a record low against the dollar in August after the government raised the tax on imports three times in 2013 and linked purchases to re-exports. The government is seeking to trim imports to 800 metric tons in the financial year ending March from 845 tons a year earlier and the restrictions helped cut the deficit in the quarter ended September to the lowest level since 2010.
via India Gold Import Curbs Review Seen in March on Deficit Control – Businessweek. India’s notoriously disruptive parliament has been going through a productive phase in the past two days. Bills are getting passed, politicians are discussing the state of the economy and for a change, members are listening to each other as they deliver well-researched speeches. For a house with one of the poorest records of accomplishments in Indian history, the last two days were downright atypical. On Monday, parliament debated a $20 billion plan for nine hours to provide cheap food to two thirds of the population. For a change, the government got the main opposition party on board by incorporating some of the changes that its opponents proposed. A similar script played out on Tuesday. Politicians from all parties discussed the state of the economy, reeling under a widening current account deficit, slowing growth and a falling currency. 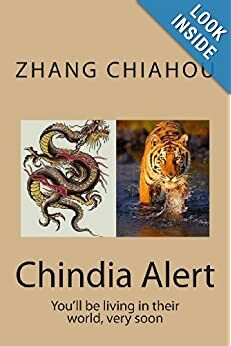 The opposition party’s well thought-out arguments moved Finance Minister P. Chidambaram to admit that domestic factors indeed have played a part in creating the dismal economy, a rare statement coming from the man who usually blames the global financial meltdown for India’s woes. Chidambaram on Tuesday urged parliamentarians to work together. 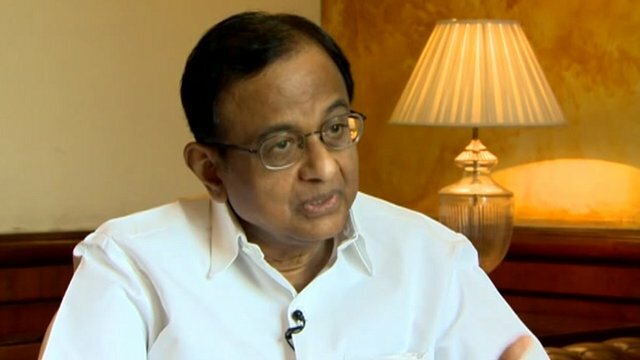 “If parliament is not able to point to the direction in which the country’s economy will go, parliament is not able to agree on, say 10 steps which the government should take today … what kind of a message will it send to the rest of the world?” Chidambaram asked the house. “The fact is, polity of this country is divided on economic policies and that is understandable … My plea to everyone, despite our differences, can we agree upon some measures which have to be taken in order to lift the country’s economy from what it is today,” he said. The Lok Sabha, the lower house of India’s parliament, led by a minority Congress-party coalition government, has a rather dismal track record. Before the ongoing Monsoon session, it passed just 39 percent of tabled bills. In five years, the Lok Sabha has passed just over 150 bills, in contrast to an average 317 bills passed by any other lower house completing over three years. The last two days have been different. This is what voters expect their representatives to do. If lawmakers keep it up, we might have one of the most successful sessions in recent memory. One would hope that the mood extends itself into the hurly burly of the 2014 campaign season. via India’s parliament gets its groove back, at least for now | India Insight. The Times: “Festival season is fast approaching in India, with a feeling in some ways equivalent to the run-up to Christmas in the West, and, right on cue, a would-be Scrooge has stepped forward. Palaniappan Chidambaram may have little option, of course. The country’s embattled Finance Minister is struggling to shore up a collapsing rupee and revive a moribund economy, all with less than nine months to go before national elections. So last week, as the rupee sank to fresh, record lows against the dollar — and with Diwali, the Hindu festival of lights looming in November — a panicking Mr Chidambaram wheeled out his latest package of measures designed to bolster the currency. In a move that many Indians viewed as being distinctly short on seasonal good cheer, he slapped a ban on imports of gold medallions and coins, extending an attempt to curb the nation’s voracious appetite for the metal. 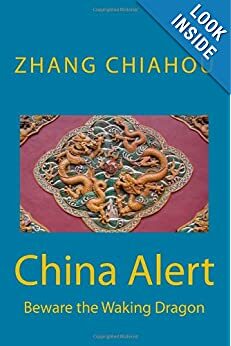 Other measures included a reduction in the amount of cash that Indians and companies may remit overseas from $200,000 to $75,000 a year, a rule that Mr Chidambaram argued unconvincingly did “not amount to capital controls”. Yet if the latter measure will not endear him to the millions of Indians with friends and relatives studying overseas, it is the gold ban that could prove a bigger issue. India’s lust for gold is undimmed and trying to temper it before the polls next spring — and before the wedding season that peaks around Diwali — could be catastrophic for the ruling Congress party. The markets, certainly, were unimpressed by the minister’s efforts, sending the rupee crashing to new lows within hours of the announcement. The sell-off continued yesterday. With the sliding rupee already forcing up the price of goods from petrol to food, Congress is desperately searching for new ways to head off a full-blown financial crisis as Indians prepare to vote. And while there is only so much that can be done to curb the nation’s demand for imported crude oil, the single biggest strain on India’s current account deficit, reining in India’s gold addiction may seem the next best alternative. If his latest measures don’t work, and with that election due, it looks increasingly as if Mr Chidambaram’s days as Finance Minister may be numbered, one way or another. As if policymakers didn’t have enough on their plates, India is in the grip of a new crisis. Last week, ministers held emergency talks to address a 36 per cent surge in the wholesale price of onions over a single weekend. Onions are a key ingredient in virtually every Indian dish, so are viewed as almost as much of a staple crop as rice. Thus a fall in onion production prompted by poor harvests in the nation’s south has proved politically explosive. Shoppers have staged angry protests. via Bombay mix: Party pooper’s move takes golden glow off festival of lights | The Times. WSJ: “India’s finance minister said the “first green shoots” of the country’s economic revival are evident but growth isn’t expected to surpass 5.7% this year, the bottom end of the government’s revised growth target. via Chidambaram: See ‘First Green Shoots’ of Recovery – WSJ.com. WSJ: “India’s government has started to tighten its belt as it strives to meet the revised budget deficit target of 5.3% of gross domestic product for the year through March 2013. It’s not that spending is decreasing: it’s still increasing – only a lot less. So in September, government spending rose by a “paltry” 1.4% from a year earlier, according to a new report by brokerage Nomura. By comparison, in August, spending had increased by a whopping 32% from a year earlier, Nomura economist Sonal Varma told India Real Time. To look at it another way, public spending rose by 0.47% between August and September compared to a 30.7% increase in the same period last year. Nomura’s Ms. Varma told India Real Time said that the government has cut spending on sectors such as defense. A recent increase in fuel prices means the government is also saving money on subsidies. In September, the government raised the price of diesel by 14% to about 47 rupees to reduce its expenses on fuel subsidy. The government estimates this will save it around 150 billion rupees in the year ending March 31, 2013. One of the reasons why public spending has slowed down, says Ms. Verma, is because the government has delayed paying subsidies to oil marketing companies. These are costs that may be partly rolled over to next year. A senior finance ministry official told India Real Time that the government expects to cut at least 500 billion rupees, or about 4% of the 14.9 trillion rupees that it had planned to spend this year. The official said spending cut will be across the board, but did not want to single out any particular area. Despite spending cuts, public expenditure remains high, mainly due to subsidies on fuel, food and fertilizers, and on social sector schemes. To meet its budget deficit target, India needs to slash government expenditure as well as raise funds through stake sales in state-run companies and the sale of radio bandwidth. 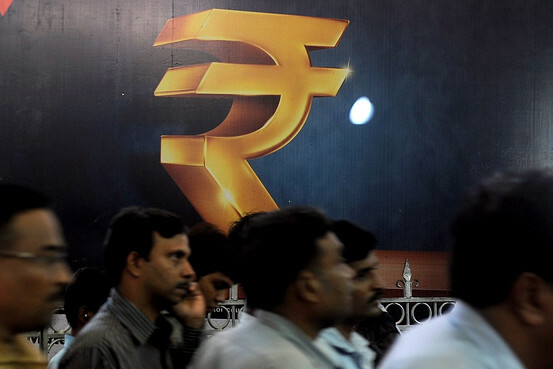 via India Is Clamping Down on Spending – India Real Time – WSJ. After months of inaction, India is starting to make economic reforms again, despite the widespread protests from both opposition parties and retailers. Perhaps, the government realises it has no option given the prolonged severe economic slowdown in India. BBC: “India’s finance minister has promised more reforms after it opened up its retail sector to foreign supermarket chains and cut diesel subsidies. P Chidambaram also told the BBC that it was unfair to single India out for corruption, but said more was being done to tackle the problem. 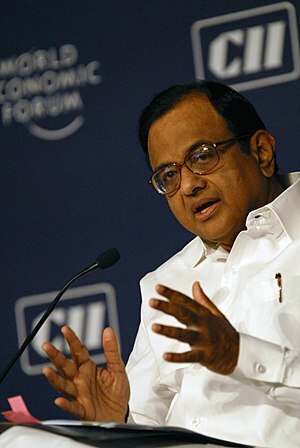 Mr Chidambaram is one of the most important figures in the government. The government is facing criticism of the reforms it announced last month to try to boost the slowing economy. Opponents say the measures, which include opening up India’s massive retail sector to competition from foreign supermarkets, will hurt the poor. Last month, the government also announced a 14% rise in the price of diesel, which is heavily subsidised in India, and reduced the subsidy on cooking gas cylinders. But some economists and large investors say the government is not going far enough, and warn that India still faces the threat of a credit rating downgrade. In a BBC interview on Wednesday, Mr Chidambaram promised more reforms to come. He also said that the government was doing more about accusations of corruption. Asked if he had ever accepted a bribe himself, the minister denied it. But corruption remains one of the issues troubling many would-be investors, both Indian and foreign. And after months of apparent paralysis, with the government unable to get any major legislation passed, it still has a lot to prove. via BBC News – India minister Chidambaram promises more reforms.